Juanita Salcedo is a energetic, highly motivated professional. She has 10 years of experience combined in Human Resources, Recruiting and Sales/ Operations Management and she enjoys providing excellent customer service to all she meets. Her greatest satisfaction is to see students accomplish their cosmetology career goals! What an exciting, rewarding, fulfilling career I chose 35 years ago. She has attended several CEA trainings and receded the nomination for the CEA Educator of the Year and the Nicholas F. Cimaglia award. Her greatest reward is when her former students come back to thank her for the inspiration that she instilled in them to pursue their careers. What a rewarding career of changing lives! 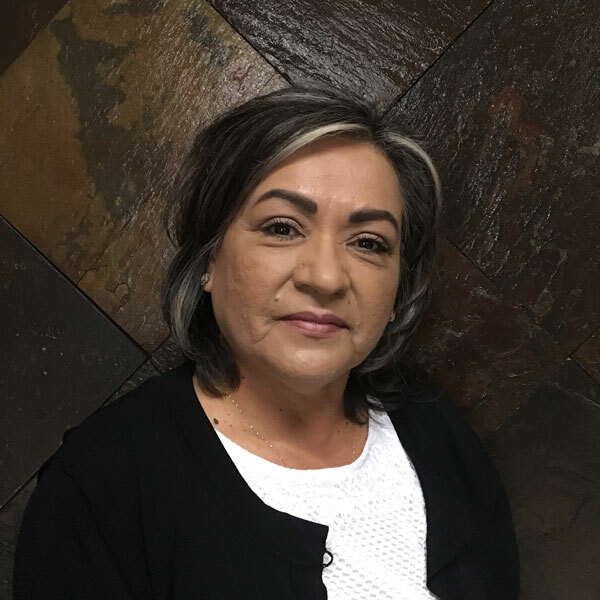 As the Registrar for ITS Academy of Beauty in El Paso, TX, Diana specialized in all recruitment procedures to get you started in the Beauty industry. As a 2008 proud ITS Cosmetology graduate, Diana has been recruiting for I.T.S. Academy for the past 6 years. She is a positive, self-motivated, individual who is knowledgeable on how successful and rewarding this career can be and is excited to get prospect started on their new career path in the beauty industry. Blas Uribe believes success starts with knowledge. As a Cosmetology Instructor, his focus is to prepare his students to enter and excel in the field of Cosmetology. He completed his training as a Cosmetologist and Instructor at ITS Academy of Beauty. With 7 years of experience as an Instructor he has taught Phase 1 and Clinic Floor. By staying abreast with current trends, attending hair shows, workshops and working in area salons this gives him the experience and knowledge to teach students about business and salon management skills.